“Woe to the nation that calls evil good and good evil.” (Isaiah 5:20) Is it too late to prevent the decline and fall of American society? 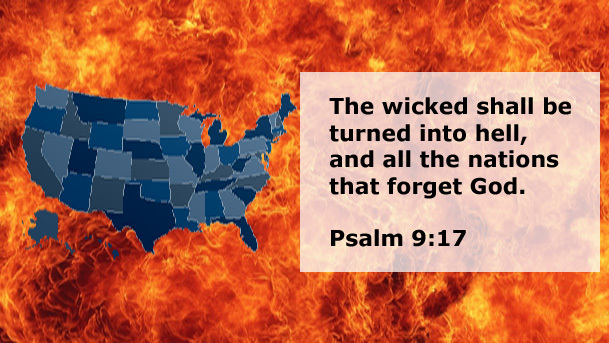 America is currently experiencing the wrath of God, yet many people are totally clueless. God's wrath can be either active or passive. Let me distinguish between the active and the passive wrath of God. Vivid demonstrations of God's active wrath are seen in the Old Testament and throughout the Book of Revelation. When God unleashes His active wrath, it is both stunning and cataclysmic, (e.g. fire and brimstone raining down from the sky). However, when God reveals His passive wrath, He does not need to do anything other than to step back and allow us to experience the ultimate self-destructive results of sin. When President Obama took office, he said he would fundamentally change America. To our peril, that's a promise he kept. Under the Obama Administration, the moral decay of America escalated at an alarming rate. Today, large segments of the population seemingly are unable to distinguish between good and evil. We are plagued by angry atheists who are bound and determined to remove every vestige of God from public display. We are being overrun by militant homosexuals who are not content merely to come out of the closet. Instead, they attempt to trample under foot and shove into the closet anyone not bowing to their every demand. The Obama Administration has forced the LGBT agenda on the public. His Attorney General, Loretta Lynch, has even gone so far as to equate the LGBT agenda with the Civil Rights movement of the 1960s. Her statements defile the memory of Martin Luther King and all he fought and died for. No doubt, if Dr. King could hear her shameful comments, he would turn over in his grave and vomit! 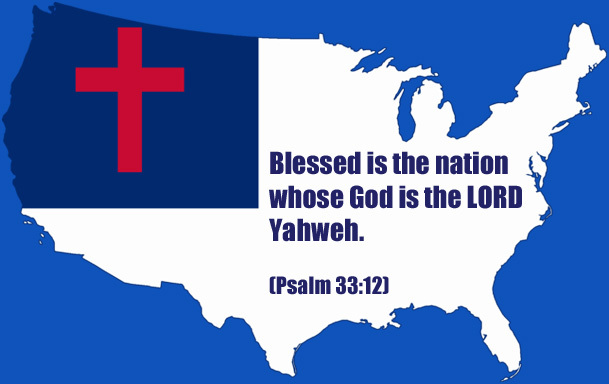 “God is slow to anger.” (Joel 2:13) However, when a nation rejects God, He will eventually reject that nation too. America, for the most part, is defiantly shaking its collective fist in the face of God. It's only logical to conclude that God will soon give this nation up to the control of people having depraved, corrupt and morally worthless minds. (See Romans 1:28) We are getting dangerously close to being completely overrun by hell bound reprobates. So what does a nation look like when it has been given up to people having depraved minds? According to Romans 1:29-31, it is filled with unrighteousness, wickedness, and greed. Further, it is filled with envy, murder, strife, deceit, and malice. The people are gossips, slanderers, God-haters, insolent, arrogant and boastful. They invent ways of doing evil, and are disobedient to parents. They are senseless, faithless, heartless, and show no mercy. That sounds a lot like the America we see in the daily news. We are getting dangerously close to the climax of God's passive wrath on America. Question: What can we do to forestall impending judgment? Answer: Live by the principles taught in 2 Chronicles 7:14. We know that God is slow to anger, has great love, and He would rather forgive than send judgment. (Joel 2:13) Consequently, God in His mercy has given us a simple step-by-step procedure we can use to forestall His judgment. In mathematics and computer science, we routinely work with algorithms. An algorithm is simply a step-by-step procedure for performing some action. Computer programs are simply sets of algorithms that tell computers exactly what to do. Computer algorithms commonly contain conditional statements in the form IF [condition(s)], THEN [what to do if the condition(s) are true], ELSE [what to do if the condition(s) are false]. Oftentimes, conditional statements are written more simply as IF-THEN statements. In 2 Chronicles 7:14 we find a conditional statement of the IF-THEN form, and an implied ELSE. This Biblical algorithm says, “If My people, who are called by My name, will humble themselves and pray and seek My face and turn from their wicked ways, then I will hear them in heaven, and I will forgive their sin and will heal their land.” The 2 Chronicles 7:14 algorithm tells us that IF we meet four (4) specific conditions, THEN God will bless us, ELSE, He will allow us to continue along the path of destruction. The context and circumstances surrounding 2 Chronicles 7:14 are different from what we face today in America, but the general principle still applies since God does not change (see Malachi 3:6 and Hebrews 13:8). Now let's take a closer look at this important Biblical algorithm for revival and restoration. 2 Chronicles 7:14 begins with the phrase, “If My people, who are called by My name”. Originally, the ancient Israelites were the “My people” of 2 Chronicles 7:14. However, “My people” also applies to all followers of Yeshua (Jesus). We are His people. (See Hebrews 8:10, the promise of the New Covenant) No matter what label we place on ourselves, the Church, Christians, Messianic believers, etc., we are His people and the promise of 2 Chronicles 7:14 applies to us. The premise of 2 Chronicles 7:14 contains four conditions. The second condition is that we pray. Pray to God asking for forgiveness. The third condition is that we seek His face. God, our Father, wants us to know Him for who He is, not just what He can do for us. If we are to know God for who He is, then we must come into His presence, sit at His feet, and learn the heart and mind of God. And the only way for us to learn the heart and mind of God is by spending time in His Word, the Bible. We would be wise to mimic the Bereans (Acts 17:11) by studying the Scriptures daily. A 2014 LifeWay Research study found that less than 20% of church-going Americans read their Bibles daily. As Christians, we are called to be like Christ. But to be like Christ, we must think like Christ. The only way to think like Christ is by having our minds transformed by the renewing that comes through the Word of God. The bottom line is that if we are truly seeking God's face, then we must do more than humble ourselves and pray. We must also read our Bibles. The fourth and final condition is that we turn from our wicked ways. God wants us to repent - to turn away from sin and live lives of righteousness. If the four aforementioned conditions are met, then we conclude that God will bless us in three ways. The first way He will bless us is by hearing us in heaven. Our unhindered prayers will flow to heaven and He will hear us. The word translated into English as “hear” is the Hebrew word “shema.” (Hebrew is the original language of the Old Testament.) In Hebrew, shema means to listen attentively and do. In other words, God will listen carefully to our prayers, and He will act on them. The second way He will bless us is by forgiving our sins. Having our sins forgiven restores our relationship with God, allowing us to have close fellowship with Him. Third and finally, He will heal our land. When we place 2 Chronicles 7:14 into context, we find that God had previously warned the people that if they sinned against Him, there would be severe consequences. The land would suffer from a drought, locusts would devastate their crops, and the people would be plagued with deadly diseases. Knowing this, King Solomon wisely asked God to make provisions for the people when they sinned. God's response was the promise found in 2 Chronicles 7:14. Are we presently witnessing the decline and fall of American society? The future of America is uncertain, however, there is one fact in which we can be sure. We can be sure that our God does not change. (Malachi 3:6) And so knowing how God worked in the past, we come to this conclusion. First, we who know Him must (1) humble ourselves by admitting our sins, (2) pray and ask for forgiveness of personal sins and the sins of the nation, (3) seek God's presence continually, and (4) repent of our sinful ways. Then, when we have met all these requirements, we can expect God to (1) hear and to respond to our prayers, (2) forgive our sins, bringing us into a right relationship with Him, and (3) “heal our land” by reversing America's alarming downward spiral into the black hole of moral depravity and chaos. May we each humble ourselves before the Lord, the God of heaven, pray, seek His face, and turn from our wicked ways. Then, may the Sovereign Lord, who is slow to anger, has great love, and would rather forgive than send judgment, hear our prayers in heaven, have mercy on us, and heal our land.